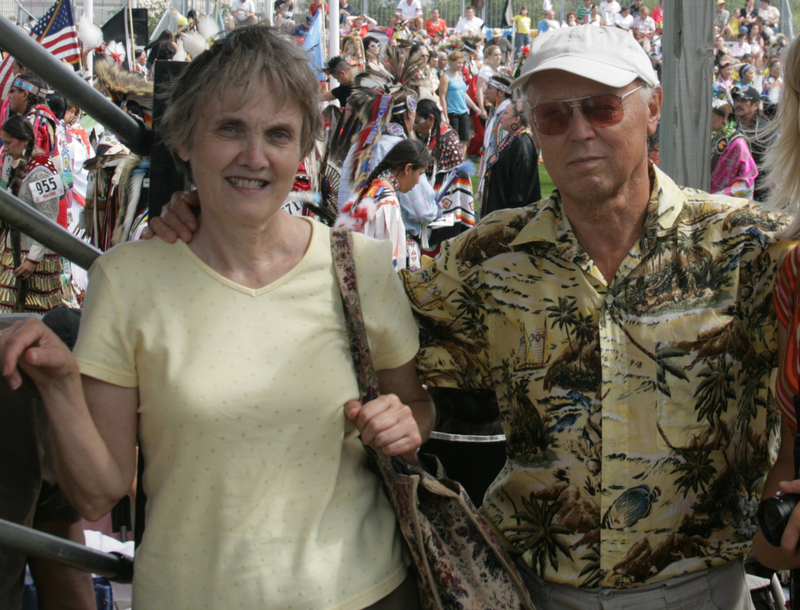 This Spotlight article honors a pair of seasoned members of and participants in Minnesota Hungarian activities, the husband and wife team of Edit and Lajos Horvath. Lajos was born in Kunhegyes, east of the Tisza River, about half way between Budapest and Debrecen. After gymnasium, and the 1956 Revolution, Louie left Hungary, "in a hurry," for Italy, when the AVH (Hungarian Secret Police) falsely accused him of wrongdoing. In Italy he landed a full scholarship from the Ford Foundation to the University of Pisa. He left the university seven years later bearing a Ph.D. in mining geology. Coming to the United States in 1964, he worked in the labs of Sandoz Corporation in New York City (NYC), where he also met Olga and Tibor Zoltai. He subsequently moved to Minneapolis in 1965, and became the heat-treating department manager for the Minneapolis Electric Steel Corp, which specialized in steels for the mining industry. The company folded, and Louie bought a laundromat in 1985. He was shot in a holdup at his business; and two years later, in 2002, he sold the laundromat and retired. relocated to Minneapolis in 1977, to marry Lajos. Edit and Lajos became active in the Minnesota Hungarians in the 1980s. During George Gombos' presidency, Louie revived the lapsed 1848 and 1956 commemorations, organized a choir, the picnic, and served on the board until the mid-1990s. Currently, Lajos describes himself as a "health nut," staying physically and mentally fit by good diet and lots of exercise (he swims daily). In the past, he wrote poetry in Hungarian, and in Italian. He still writes, for special occasions. Fascinated by language in general, Louie is currently learning Spanish. As she does yet today, Edit can be seen helping the Minnesota Hungarians in every way she might be needed. And when Pál Rupprecht became too ill to do the work, Edit assumed his mantle as the Minnesota Hungarian liaison with the Immigration History Research Center (IHRC), in which capacity she still serves. Additionally, Edit is a board member of the Friends of the IHRC. In 2006, she received the Minnesota Hungarians President's Award.